Blood testing startup Theranos is having a terrible week. 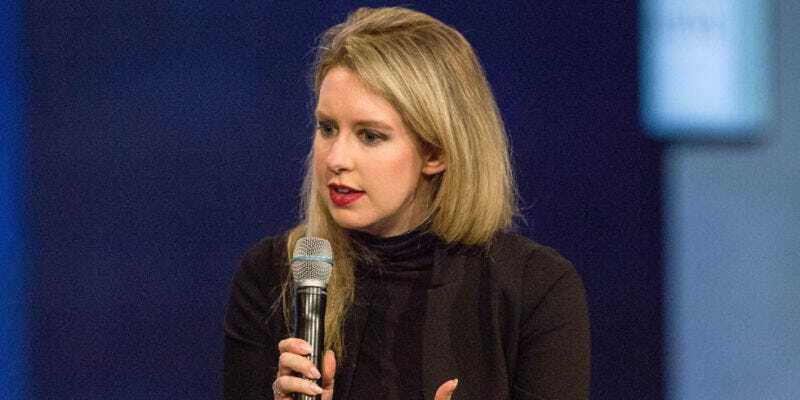 First, the US Centers for Medicare and Medicaid Services sent the company a letter saying its California facility poses “immediate jeopardy to patient safety.” Now, Walgreens will no longer send its lab tests to Theranos’ Newark, California location. Walgreens was an early champion for Theranos, offering needle-free blood tests to customers. Back when Walgreens began to offer these tests, Theranos was a Silicon Valley darling, hyped for its innovative methods. The hype bubble burst in October after a Wall Street Journal investigation highlighted major problems with the company’s technology and methods.